Elika is a sophisticated complimentary exclusive buyers service can count on to find the right NYC Penthouse. Every realtor in Manhattan would love to sell you any of New York City’s prestigious penthouses, but at Elika Associates, we have the experience, knowledge, and access to meet your specific penthouse needs. Our brokers are devoted to helping you purchase the ideal penthouse for you and your family discreetly. For two decades, we have specialized in representing buyers as they purchase unique penthouses. Because we focus on this segment of the market, we know that discerning buyers have specific preferences and we understand how to help them find the home that will satisfy them. At Elika, we will not stop until we find we find you the ideal penthouse for your discerning needs. The penthouse is an important component of New York’s architectural and social history. Continue reading to learn about the history and advantages of penthouse living. Let Elika’s experts search, filter and send you the best available penthouse properties for sale that match your specific housing needs: CUSTOM SEARCH or Call: 212-590-0545. Services Free for Buyers, Learn More. 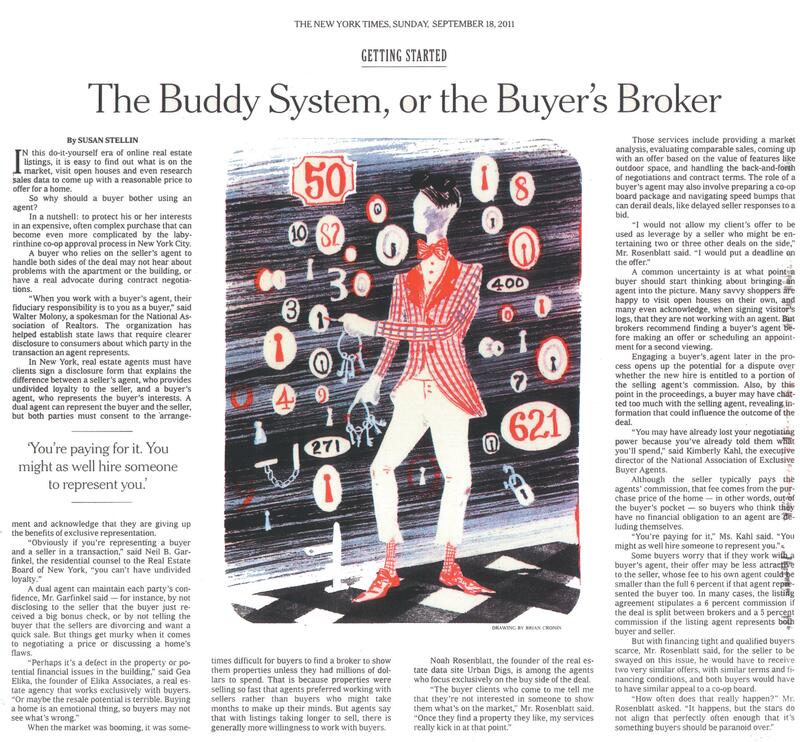 Featured in Should You Hire a Buyer’s Broker in NYC? According to Andrew Alpern’s foundational text, “Luxury Apartment Houses of Manhattan: An Illustrated History,” before 1922, the tops of Manhattan skyscrapers were reserved for elevator closets, janitors’ offices, and servants’ quarters, not the socially elite. It’s hard to imagine that this penthouse space, now so coveted by those who wish for a luxurious city-dwelling lifestyle, was once allocated to elevator pulleys and machinery. That all changed in the early 1920s when publisher Conde Nast commissioned the first well-known luxury penthouse at 540 Park Avenue and proceeded to host the bulk of New York’s elite social class at her famous parties. Now, New York City penthouses are arguably the most luxurious living accommodations in the world. Offering the convenience of an apartment, the square footage of a home, and a premiere design touch, New York City penthouses are the dream homes of many. If you have the means to purchase a New York City penthouse, doing so is an excellent personal and business choice. New York City Penthouse living is the ultimate in luxury, comfort, and convenience. Living in a penthouse offers an excellent way to experience both the excitement of the city and the peaceful joy of private home life. What is a Manhattan Penthouse? Architecturally, the term penthouse refers to an area on the top of a tall building that is set back from the edge. In other words, a penthouse traditionally referred to an enclosure that did not use the entire roof’s area. Today, the word penthouse is synonymous with luxury accommodation at the top of a skyscraper. In most cases, penthouses are located at the top of Manhattan luxury Condominium and Cooperative apartment buildings. Because of the popularity of penthouse living, today’s architect’s design buildings with more space for penthouses. It is not uncommon to find a skyscraper with the top two or three floors designated as penthouses. A duplex is a penthouse that takes up two floors of a Manhattan skyscraper. A triplex is a penthouse that takes up three floors of a Manhattan skyscraper. A full-floor penthouse takes up an entire floor of an apartment building. The different designs of Manhattan penthouses offer different styles of living so that penthouse residents can choose the kind of homes that best suit their tastes and lifestyles. Many people have an aversion to living in a home that is on a single level. These people can still enjoy the penthouse lifestyle by choosing a duplex or triplex design. Private pools and pool seating perfect for entertaining. Some of the most luxurious penthouses offer pools, hot tubs, and plenty of seating featuring lounge chairs and patio tables, so the spot is perfect for outdoor entertaining. Rooftop gardens that you can maintain yourself or hire a gardener to manage. Beautifully designed outdoor living spaces on the terrace that includes rare flowers, beautiful outdoor furniture, grills, and other ways to enjoy outdoor life. More than just a private balcony, a penthouse offers luxury outdoor living that would be inaccessible if you lived in other parts of the city. If you live in a Manhattan penthouse, you get to enjoy the views that others specifically travel to see. Many Manhattan penthouses are intentionally designed with large windows and terraces that overlook the city skyline and parks. If you are looking for some of the best views of New York, a Manhattan penthouse is perfect for you. The gorgeous views of Manhattan available to you from your penthouse work together with the large square footage and delightful decor to create a comfortable and luxurious home feeling. Imagine enjoying coveted views of Manhattan from your private terrace with your family, significant other, or close circle of friends. This is the true luxury. Keeping their clientele in mind, Manhattan penthouse designers select only the most sought-after, luxurious, and aesthetically pleasing materials for penthouse design. These include marble flooring, gorgeous wood choices like mahogany and cherry, high-quality stone, and the richest carpets and fabrics for floors and walls. Of course, if you choose a new construction penthouse, you will get to make many of the design and material choices on your own. When you choose a new construction penthouse, you also have the opportunity to work with the interior designer to create a home that truly reflects your taste and desires. Furnishings for luxury penthouses are always the most modern, most aesthetically pleasing, and most technologically advanced devices on the market. New York City penthouses come with gourmet chef’s kitchens, state-of-the-art security systems, and, in some cases, even electronically advanced controls that alert building management if there may be a problem, such as a leaking roof or temperature deviation. The most sought-after New York City penthouses offer every convenience of apartment living alongside even more specialized services. The following are just some of the amenities and services offered at most New York City penthouses. Most penthouses come with concierge services. Whether you need a limousine to pick you up or tickets to a sold-out show, your building’s concierge will offer you exclusive service, so you don’t have to waste time and energy on the details. Whether you need laundry done or new clothing purchased and delivered, you can obtain anything you need without setting foot outside thanks to your penthouse’s delivery services. Penthouse security is always state-of-the-art. In addition to advanced security systems, penthouses typically have 24-hour security personnel on staff. When you choose the penthouse way of life, you never have to worry about maintenance and repair. Detail-oriented staff people will attend to the problem immediately. Most penthouse buildings offer their staff for a maid and cleaning services. The most luxurious penthouses come in buildings that feature some on-site luxury services, including spa, beauty, health, and tailoring services. Because you are located in the heart of Manhattan, you can easily access everything from museums to shows to schools and hospitals. Many penthouses offer exclusive, private entrances and elevators, so you never have to wait in line, and your privacy is always maintained. 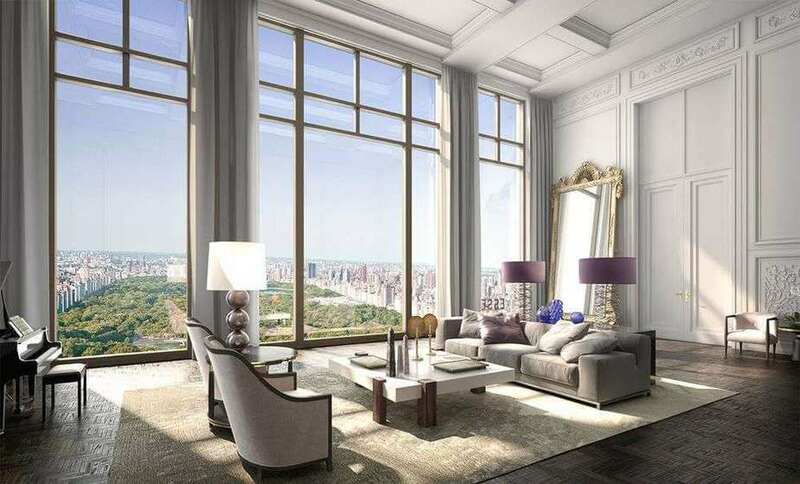 If you have the means to purchase a distinctive Manhattan Penthouse, you should. Doing so means you are buying the most luxurious real estate that is limited in supply and demand globally. With a New York City penthouse, you can enjoy the ultimate in city living and eventually resell your property to a global audience. When you purchase a new construction penthouse, you get to ensure all construction is to your liking. Receive a free, short list of Penthouse properties that best match your needs curated by an Elika expert. 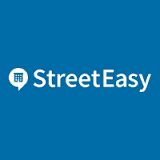 We'd love to help you find your New York City home.